David Bollier, director of the Reinventing the Commons Program at the Schumacher Center, argues in his new article for The Nation Magazine that there are already a number of projects that dare to imagine what a fairer, eco-friendly, post-growth economy might look like and are capable of building functional alternatives. Cooperatives, regional currencies (such as BerkShares Local Currency), community land trusts, and hackerspaces are pointing the way toward a new economic vision– boldly demonstrating, rather than merely conceptualizing, effective solutions. 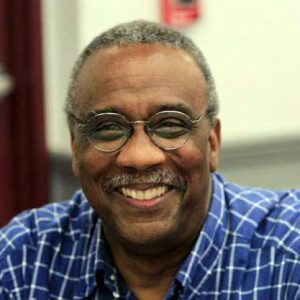 Bollier points to historic examples as well as contemporary, singling out Fannie Lou Hamer’s leading role in building the African-American cooperative movement in the rural south. 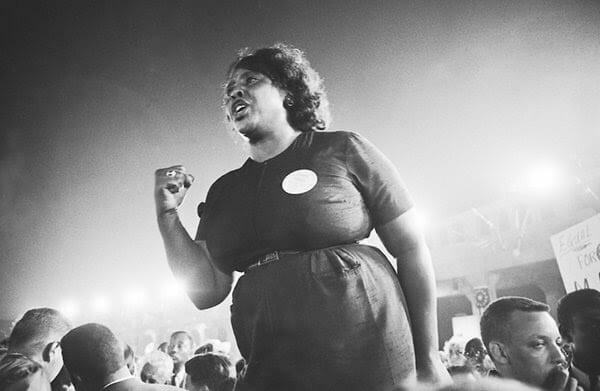 Almost fifty years ago, Fannie Lou Hamer came up with a shrewd strategy for dealing with community disempowerment—in her case, the vestiges of the plantation system and exploitative white-owned businesses. As Jessica Gordon-Nembhard tells it in Collective Courage, her pathbreaking history of African-American cooperatives, the civil-rights leader bought hundreds of acres of Mississippi Delta farmland, so poor blacks could grow their own food. “When you’ve got 400 quarts of greens and gumbo soup for the winter, nobody can push you around or tell you what to say or do,” Hamer said. Organizers of Boston Green Fest will recognize Former Governor Michael Dukakis, Schumacher Center’s Greg Watson, and Shankara Rural Transformation Founder Balasaheb Darade as Green Initiative Leaders at this weekend’s 10th Annual event. Want to know more about Greg Watson? Thanks to the good work of the Schumacher Center’s summer intern, Annabelle Burns, Watson’s 17th Annual E. F. Schumacher Lecture “The Wisdom that Grows Community” is now available in the collection of Schumacher Lecture podcasts. Karissa Lewis is the Executive Director of the Center for Third World Organizing. With extensive experience in organizing and activist training, she works to build leadership in communities of color and is dedicated to creating a movement for social justice that is led by the people most affected. 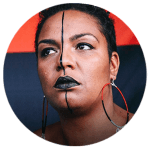 She has organized around issues ranging from gentrification to environmental racism, gang injunctions, and police brutality. She is an active member of the Bay Area #blacklivesmatter chapter. Gopal Dayaneni is a member of the staff collective at the Movement Generation Justice and Ecology Project. 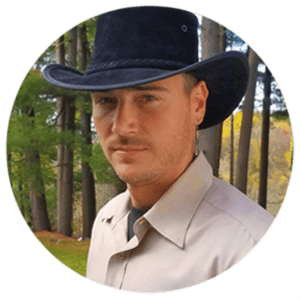 He is an active trainer with and serves on the boards of The Ruckus Society and the Center for Story-based Strategy. He also serves on the advisory boards of the International Accountability Project and the Catalyst Project. 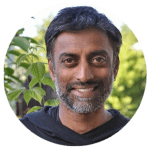 Gopal has been active in many people-powered direct action movements, including the Global Justice/Anti-Globalization Movement, Direct Action to Stop the War, Mobilization for Climate Justice, Take Back the Land, and Occupy. Robert HawkStorm Bergin is Sachem (Chief) of the Schaghticoke First Nations people of New York and Connecticut. Sachem HawkStorm is leading a Schaghticoke effort to build a cultural center that will specialize in teaching sustainable development and agriculture, while at the same time providing housing to members of the Schaghticoke tribe and building awareness of their history and culture. In 2015, HawkStorm signed the United Nation’s Declaration of the Right of Indigenous People. Winona LaDuke—activist, community economist, author, and member of the Ojibwe Nation of the Anishinaabe peoples—will keynote the 37th Annual Lectures. LaDuke is a leading advocate and organizer for Native American groups working to recover their ancestral lands, natural resources, and cultures. Her talk will be followed by the panel discussion led by Nwamaka Agbo, a member of the Schumacher Center’s board of directors and the Innovation Fellow at the Movement Strategy Center in Oakland, California. Lecture tickets are on sale through the Mahaiwe Theater’s box office. $40 tickets include the keynote address and panel discussion (1:00 – 5:00 pm); $150 tickets include the keynote and panel, plus an evening reception at Crissey Farm in Great Barrington with a dinner menu featuring indigenous ingredients. Event information is available at www.centerforneweconomics.org/events.